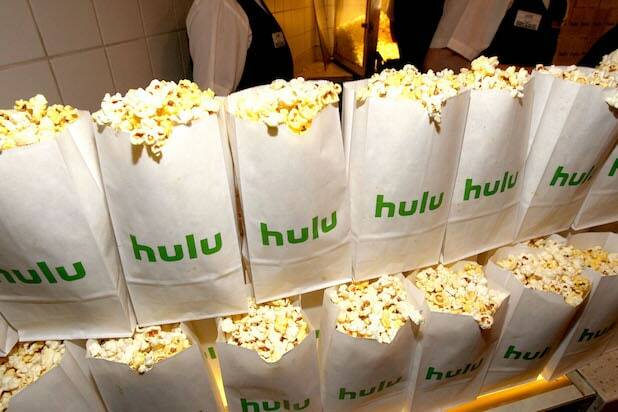 Hulu’s efforts to replace traditional TV appear to be paying off, with users of the streaming service more likely to cord-cut than Netflix subscribers, according to a new report from M Science, a data-driven research and analytics firm. And overall, customers are moving away from cable and onto online streaming at an accelerated rate. For the second quarter of 2017, the data showed Hulu users were 16 percent less likely to subscribe to Dish Network, the study’s proxy for old school TV, than if they only had Netflix. Hulu users also paid on average roughly $10 to $15 less per month on cable, indicating a higher likelihood to cut the cord. And if users had both Hulu and Netflix accounts, it was really ugly for the legacy cable providers: These Hulu-Netflix users were 32 percent more likely to drop their traditional TV service. The data points to Hulu’s push into live TV as a viable replacement for cable. The Santa Monica-based streaming service launched its “Hulu with Live TV” beta in May, offering users ESPN, NBC, FOX, and dozens of other channels starting at $40 a month. Combined with strong original shows like “The Handmaid’s Tale,” viewers are finding Hulu a better option at a fraction of the cost of cable. With Hulu’s Live TV service just starting to find its footing, and YouTube’s $35 per month TV package only available in a few major cities so far, the trend doesn’t bode well for cable mainstays. As these streaming services continue to draw customers, cable will continue to see its cut of the live TV market decline. Data from M Science shows this is already starting to take its toll on cable’s bottom line. Dish, Comcast and Charter have all seen an average of a couple dollars drop from their gross profits per month — which is still obscenely high at about $35 per customer. Still, as subscriber numbers dwindle and the price of content continues to rise, the momentum isn’t on the side of classic cable. Hulu's hit series "The Handmaid's Tale," which takes place in a dystopian future where women have virtually no rights, has its finale Wednesday. If you're desperately going to miss the series, have no fear. We've rounded up what you should watch while you wait for Season 2. AMC's cult favorite just finished its seventh season. The show follows a slew of characters as they try to survive the zombie apocalypse. Now in its third season, "Fear" is AMC's spinoff to "The Walking Dead." It acts as a prequel and takes place along the U.S.-Mexico border. While Showtime's "Twin Peaks" doesn't necessarily happen in a dystopian future, there's plenty of argument that parts occur in another dimension. If you like the weird and bizarre, you'll like "Twin Peaks." After 1,000 years of war, the Battlestar Galactica carries the last few remaining humans to the elusive 13th colony. If you were intrigued by the more mysterious aspects of "Handmaid's," then you'll be all over ABC's science fiction hit following the survivors of a plane crash and the island they inhabit. Alternatively, if you like the more "WTF?" 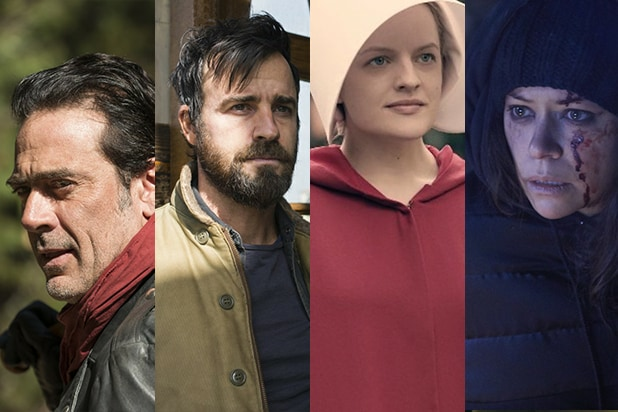 moments of "Handmaid's," then "Black Mirror" is a solid choice. The BBC series is now on Netflix, and each episode tells stand alone stories imagining how part of our modern world could go terribly wrong. Amazon's series reimagines the world as if Hitler and the Nazis won WWII. The show was recently renewed for Season 3. If you're paranoid about constantly being watched, then you'll resonate with Elliot (Rami Malek), a hacker living in NYC. "The Leftovers" is HBO's series about how the people left on Earth cope after 2 percent of the globe's population vanishes. A con artist witnesses the death of her look-alike and assumes her life. If you like conspiracies, this is a show for you. This BBC America show is available on Netflix. This Brazilian dystopian thriller focuses on extreme class divisions in the future, similar to "Handmaid's." People are given a chance to go to the "better side" of their world, but only 3 percent succeed. The CW series takes place 97 years after nuclear war destroys Earth, as 100 delinquent teens are sent back to the planet from the spaceship where the few survivors now live. CBS' show imagines a small town in the aftermath of nuclear bomb in a nearby city. With information cut off, the townspeople must figure out how to survive. Although only airing for one season, "Firefly" has become a cult favorite. It takes place 500 years in the future and follows a renegade space crew as they escape the authorities. CBS' competition series has nine teams of two in a real-life manhunt. The show looks at surveillance and how we leave digital footprints wherever we go. AMC's "Humans" takes place in a parallel present day, where synthetic humans are the latest gadget.But the "synths," as they're called, might be just too realistic. Syfy's series takes place 200 years in the future. In the midst of a war between Earth and Mars, a plague breaks out and humans must come together to save the species.